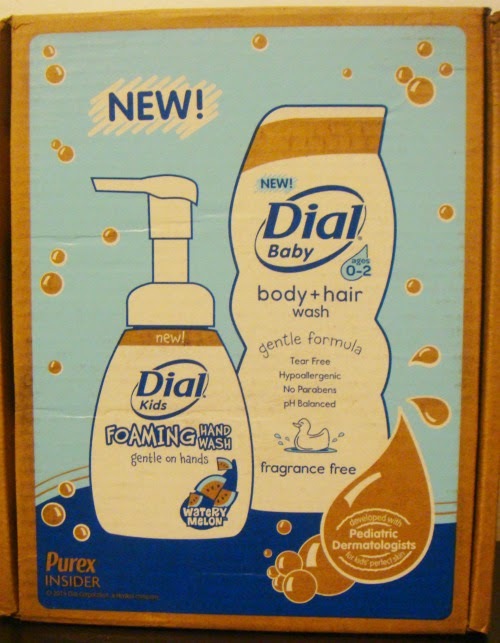 Dial sent me sample bottles of both Dial® Baby Body & Hair Wash and Dial® Kids Foaming Hand Wash recently and while I always have hand soap on hand (no pun intended! ), I didn't have any fun foaming hand wash so I thought this would be a fun treat for the bathroom. Of course, I also don't have any babies on hand, but since the boys' stepmom is due any day, she will, so I thought it might be fun for us to try out something that might help her out! Dial® Baby Body + Hair Wash is gentle on babies’ and kids’ skin. Dial® Kids Foaming Hand Wash was developed with pediatric dermatologists and is gentle on hands and kids’ skin. As for the body and hair wash, I still occasionally will buy this for myself because I've found that it still does wonderful things for my hair and even on the grungiest, sweatiest of days, this particular one had my hair feeling clean and shiney. So, these are both products that I can completely get behind and encourage you to track down for yourselves! I received these products for the purpose of this review. All thoughts, comments and opinions are my own.